Should the instinct of the individual be sacrificed for the strength of solidarity? 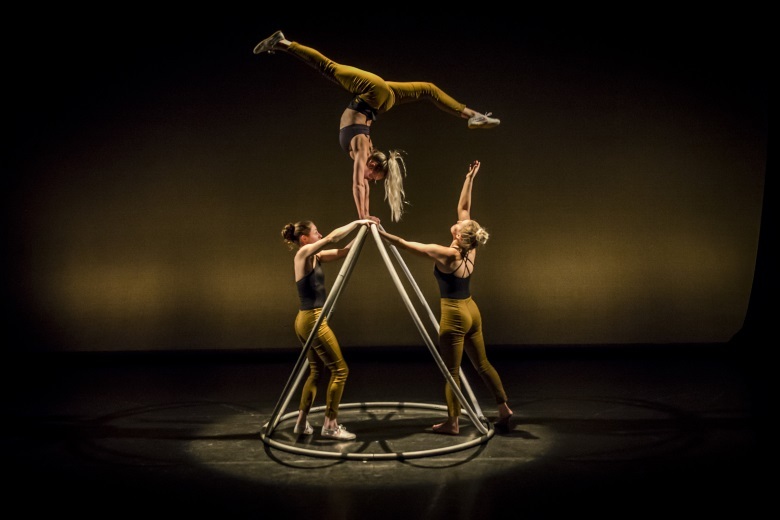 The first all-female Cyr troupe, Alula’s much anticipated debut HYENA explodes onto the UK circus scene in a whirlwind of women, wheels, acrobatics, dance and song. Boisterous, playful and wild, HYENA is a powerful exploration of contemporary Cyr wheel and contemporary womanhood. Join the clan, smash the patriarchy. The first preview will be shown on the 19th April 2017 as part of Canvas.